In preparation for our prom, we enjoyed a visit with Emily Campanell. She is Modern Miss USA. 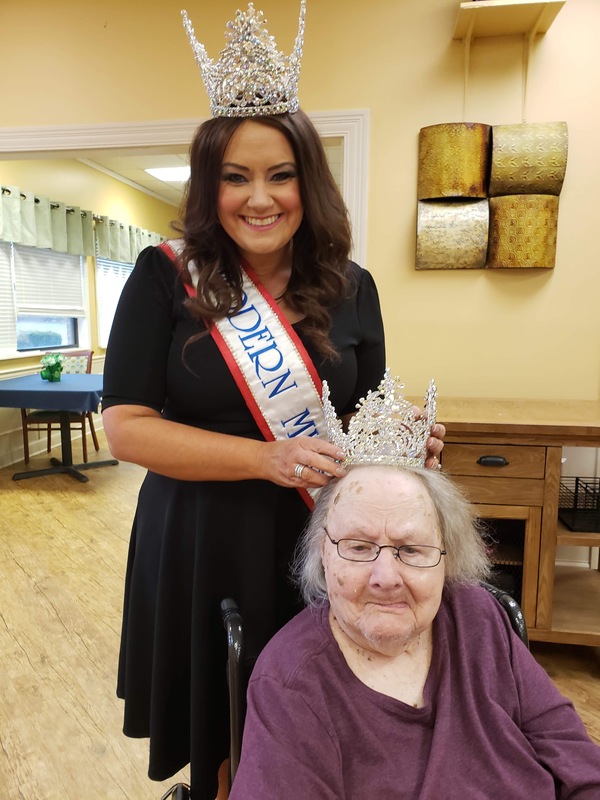 She brought in one of her crowns to share with the residents. Thank you, Emily!